The Knack Gamepack for Titan One has 5 distinct MODS including Auto Attack, Slow Motion, Auto Jump, Auto Dodge and Alternate Buttons Layout. Player LED 1: Controller in regular mode, Knack MODS are disabled. Automatically performs (1) turbo attack or (2) attack combo followed by a jump attack. 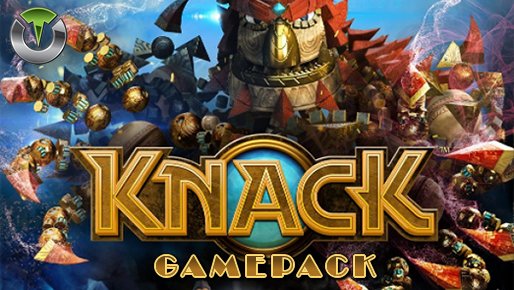 The Attack Combo MOD eliminates the cool down time need between combo attacks, making Knack an unstoppable smashing machine. Makes the game run at lower speed, allowing the player react faster to enemies movements. Automatically performs the highest double-jump by just holding jump button. It also can be set to perform the triple-jump (jump, jump, dodge), or the quad-jump (jump, jump, dodge, attack), extending the time Knack can be on air to the maximum, perfect to avoid most enemies attacks. The Turbo Dodge eliminates the cool down time between dodges by forcing Knack to jump after dodge. It ensures Knack can perform subsequent dodges instantaneous. Alternatively this MOD can be set to automatically execute an attack after dodge. Enabling this MOD the special attacks can be executed by pressing just one button: R1 - Ranged Attack, L1 - Tornado Attack, L2 - Blast Attack. Additionally MOD also allows you to perform the action "dodge" by pressing the R2 button, indicating the direction of dodge through the left analog stick.